I’ve been doing some homework and looking into some online hair advice that is misleading. There are a endless amount of home hair treatments using things that are better on a salad than your head. I wanted to take a moment to touch on what makes an effective hair treatment and how dedicated hair treatments work differently than groceries. Bananas, avocado, eggs, vinegar, mayonnaise, and coffee. These are just a few of the ingredients I have found for home hair treatments. Users swear to their effectiveness and seem to love the “organic” nature of the ingredients. The truth is what ever effect these ingredients have on the hair is cosmetic, or surface with a short longevity. Yes, eggs are a protein and we know we need protein for healthy hair, but these proteins are not designed to penetrate the hair strand in a way that will strengthen it. Penecillian is a drug derived from mold, but in order for it to be effective there is a chemical process that makes it compatible with our bodies and effectively do it’s job. Every hair care manufacture developes treatments to repair the hair. The technology allows these products to derive the best of specific ingredients and partner them with science to give them effectiveness and longevity. As technology advances the effectiveness increases surpassing what a home treatment can provide. Additionally, from a market perspective, there are over the counter salon treatments and in-salon treatments. In-Salon treatments typically have the ability to penetrate deeper into the hair strand and last much longer than an over the counter treatment product and in half the time. At Fix we love our Redken Chemistry System. This unique in-salon treatment allows us to custom mix benefits specific to your hair needs. They can help reduce color fadaged, reduce frizz, add softness and/or strength. This treatment locks in its benefits by balancing the pH levels in the hair. The treatments take 7 minutes to apply. Because the technology drives the beneficial ingredients in to the center of the hair strand the effects are seen much longer than a home hair treatment or a over the counter salon treatment. Our best selling over the counter treatment is Redken’s Strength Builder Plus. This cream mask is used in replacement of conditioner and when it is used 3 times consecutively it can increase the strength of the hair by 96%. Just think about that for a minute. 96%. Because Redken prides its self on science and technology every claim must by proven in a laboratory before it can be attached to a product. I have yet to read about a home hair treatment that can make a similar claim with scientifically proven results. 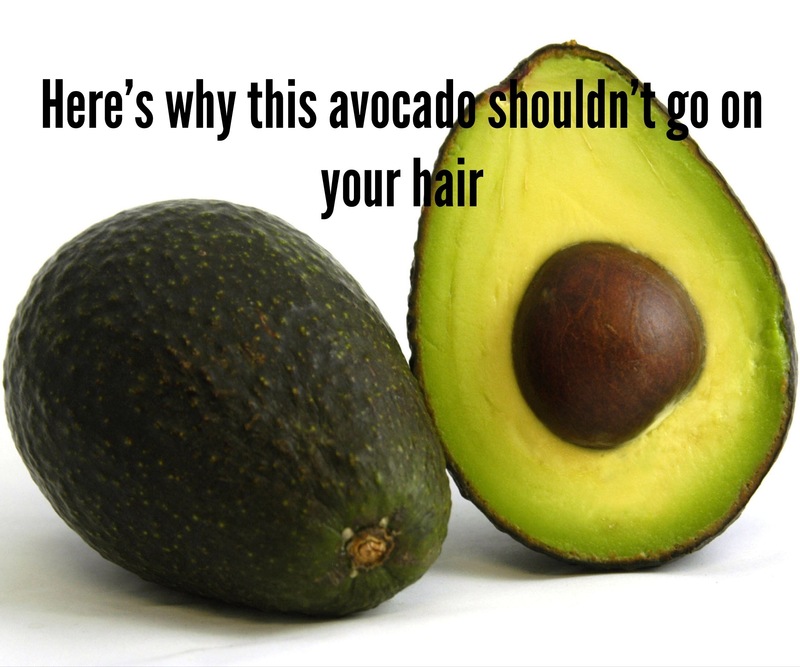 So, the next time you feel like your hair could use a little extra conditioning, strengthening, or shine visit your hair stylist instead of the produce aisle. Salon treatments are more effective and last longer than anything that was stored in your fridge.